Traditional whale-hunting practices are contested by animal welfare groups but may provide an alternative to the Islands’ dependency on globalised food supply chains. Over the summer of 2014, the hottest topic on the Faroe Islands (an autonomous territory within the Kingdom of Denmark) was the “grindadráp”. Grindadráp is the traditional, community-based, opportunistic driving of pilot whales for slaughter, where the meat is divided between participants and the rest of the local community. In question was the action of the Sea Shepherd Conservation Society (SSCS), an animal welfare group, to stop this customary and recognised by law practice. Over a 3 month campaign, Grindstop 2014, several hundred SSCS activists descended upon the Faroe Islands in a bid to prevent the “grindadráp”. However, at the time of the campaign only few whales were sighted and only one “grindadráp” took place – 33 whales being killed on Sandoy. 17 SSCS activists were arrested. In their opposition to the “grindadráp”, SSCS activists used a range of arguments. One common argument was on the necessity of whale hunting nowadays. 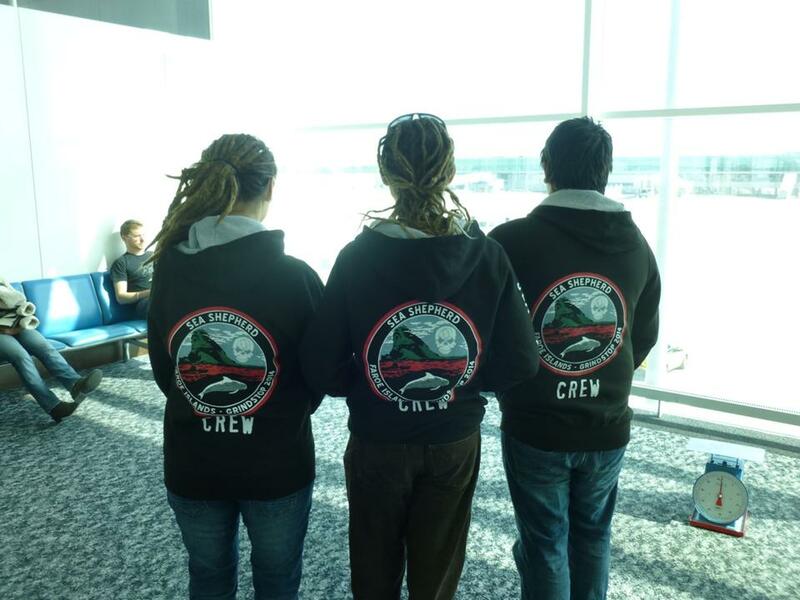 SSCS activists argued consistently that there was no need in a ‘modern’ globalised society with a Scandinavian style welfare system to continue to hunt whales, like their ancestors had in the past for survival reasons. This was perhaps epitomised in an exchange between the leader of the Grindstop campaign and a young single mother at a public debate. The mother explained that the free whale meat was part of how she made ends meet. To SSCS “grindadráp“ is unnecessary as people can buy alternative foods in the shops. This approach ignores the networks of food sharing that exist in the Faroes, of which whaling is a part. These networks no doubt conceal some poverty and are important in maintaining the ties that bind the Faroese together. On the other hand, SSCS activists are correct when claiming that if the whale hunting stops many Faroese would be largely unaffected. ‘Necessity’ is a tricky concept and depends heavily on how needs are framed. While there’s clearly no ‘correct’ answer to the question of whether “grindadráp” is necessary or not, after having spent time there two related aspects are striking. The first is how expensive everything is. Living in the Faroe Islands is a pricy affair, even in comparison to other Scandinavian countries. The second is how little locally produced food there is. Almost everything seems to either come from Denmark or the UK. Historically, the Faroese grew wheat, but it was never very successful and was quickly abandoned once new possibilities opened up to exploit the sea in the early nineteenth century. The only agricultural produce has traditionally been potatoes, rhubarb and angelica; very little of these seem to make it into the market economy. Land is uneven and poor; it takes a considerable effort to eke small amounts of food from the landscape. The resources of the ocean – birds, fish and mammals – have always been a large part of Faroese food production and remain so for many people. Much of the produce available in the Faroes comes at the end of a long supply chain. Fruit and vegetables may be rather unsavoury and have a short shelf-life, particularly in shops outside of the capital. These two observations are important to understand discussions about the necessity of various Faroese practices. Every local resource they cease to utilise increases the country’s reliance on expensive foodstuffs from outside, often at the end of globalised, exploitive supply chains. This has ecological, political and economic consequences along with the social changes that reducing food sharing networks would entail. For many of the more vocal public defenders of pilot whaling, a significant motivation for them is a desire to maintain what little autonomy the Faroe Islands have on the world stage. This also goes with an eye on the future; the Faroe Islands are already at the mercy for petrol prices for much of their lifestyle goods and relying more on food from abroad will exacerbate this. Likewise, potentially having to over-utilise other resources (e.g. fisheries) will have its own environmental and social costs (Fielding 2010). 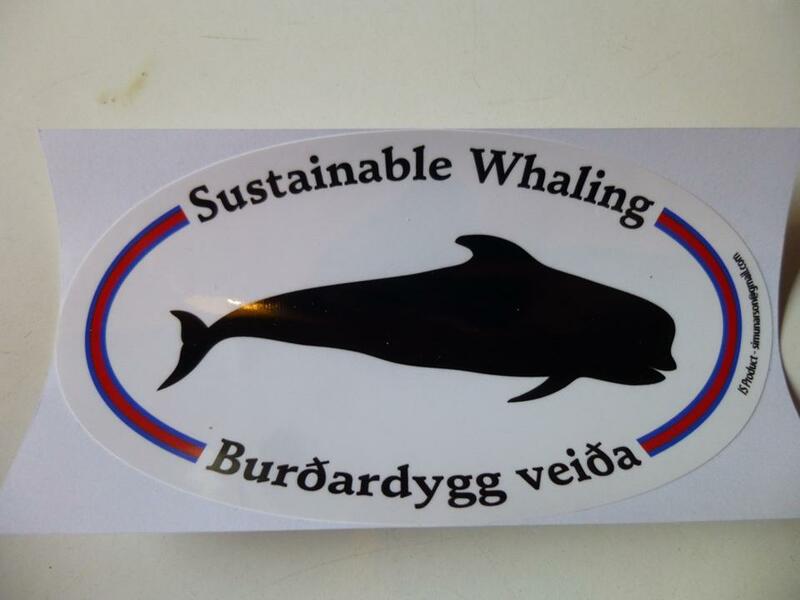 This of course doesn’t mean that the Faroese should carry on whaling. There are numerous other factors (not least cruelty and the levels of toxins in the meat) that need to considered. Just because when one goes into Faroese shops there is plenty of food available, however, this does not actually make whaling unnecessary in itself. Necessity is a complicated question for the Faroese, one that lacks a simple answer. * Benedict Singleton is a PhD student in the University of Örebro in Sweden. His PhD thesis comprises of a range of research projects clustered around marine biology and its relationship to society.